I have not been great about keeping up with this blog. I could say that it is because I am focused on my children (a good thing of course), that the world is noisy and full of distractions, or that writing for my clients zaps every ounce of creative energy that I have – but the truth is, I can make the time. It is just scary for me to be vulnerable. In fact, I haven’t even told any of my friends or family about this blog. Well, I mentioned it to my mom the other day but I didn’t give her any details. Why is that? What am I so afraid of? I think I am afraid to speak out. 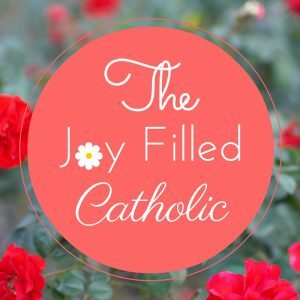 To state my truth – or more importantly THE truth that Jesus and the Catholic Church teaches. Through my studies, I have learned things that make everything the Church teaches crystal clear – but it is hard for me to articulate it when questioned. Not that anyone HAS questioned me yet, but putting myself out here will definitely open those floods gates. I’m always the person who comes up with the BEST comebacks about a half an hour too late. The thing that I am learning with apologetics though (not that I consider myself a Catholic apologist – yet), is that I don’t have to know all the answers, or have the “best comeback” at that very moment. It’s actually, as I have learned from amazing apologists like Trent Horn and Tim Staples, a lot about listening, asking the right questions, finding where we agree, and then giving my defense. When I think of it in those terms, it doesn’t seem quite so daunting. I prayed, I wrote, I meditated, I cried, and I snapped a few pictures that are beautiful – but could never do justice to the magnificence actually being there. Since that retreat I have been flooded with ideas for this little blog and I’m looking forward to sharing them with you.